This functionality is obvious the first thing that comes to your mind when people talk about an adserver and rightly so. An ad serving engine is the core element of an ad server. It uses complex rules and algorithms to select the most suitable ad to display to each viewer. 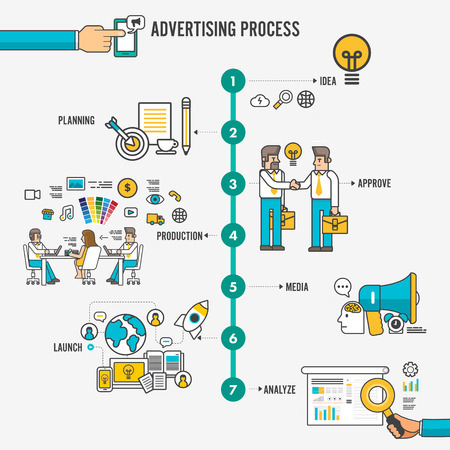 The ad selection process must follow many rules, which are defined and applied by the publisher, the advertiser and by the ad server itself. These rules include the targeting criteria, viewing frequency, location of ad placement, ad priority, earning potential and other settings. The ad engine must consider all of these factors in real-time and return a result within milliseconds. Any delay will cause additional delays in the page loading, which frustrates the viewers and results in fewer pageviews, fewer impressions and a low ROI. Before, after and during an ad is served, the ad server records different ad metrics and events such as impressions, clicks, and conversions. Basically, interactions between the viewers and the ad are recorded into the database for further processing and analysis. The ad tracking process is important because it needs to be accurate and fast. These ad metrics help measure and evaluate each ad for its performance. Ad management enables you to control different entities within your account. Ad management is not just about adverts. An ad is just only one entity type. There are many other entities related to ads that are also managed on the same platform such as zones, groups, channels, websites, and site partners. Often, there are multiple modules within the account that you can activate, enable or install to get additional features and to support your ad setup. A simple ad setup might only need one or two modules while a complex organization might require all the basic modules plus customized ones. Using the ad tracking databases, the ad reporting system presents numbers and metrics in multiple ways using tables, grids, charts and other visual elements that are easy to understand. Typical reports include impressions, clicks, click-through rates (CTRs), revenue/expense, conversions, and events. The users can schedule to receive regular email reports or send reports to other external users. The ad server also provides revenue and spending reports for all parties and can also handle invoices and payments. The publisher needs a way to create and send invoices to the advertiser. The advertiser needs to review the ad performance reports and pays the invoices. The API is a technical component that is popular with more advanced setups and integrations. It can help the publisher, advertiser, ad network or agency build customized processes, automate tasks and integrate the ad server with other business systems such as CRM, ERP or other external advertising systems.